Teachers are often familiar with the term magpie-ing ideas. Borrowing from someone else because it is a great, shiny idea and then adapting it and using it. We use the term ‘magpie’ mostly in Literacy lessons where a child has found a great word and then we can share it with others. Before anyone comments, I do remind them to thank the person they got the idea from. 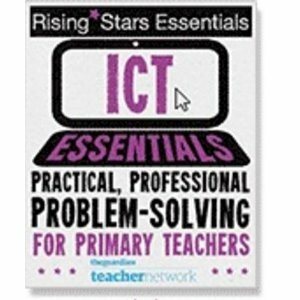 I often do things in class and say that I have found it on this website or borrowed from this teacher on Twitter. It’s good practice after-all. Anyway, in one lesson, a year 3 child named Ben heard a good word and shouted “We should porcupine it!”. Cut to baffled faces as he replied saying he knew it was an animal but couldn’t remember which animal stole ideas. When we discussed it further, my class suggested that a magpie can only carry one idea at a time in his beak but a porcupine could hold loads on his spikes, hence the birth of the porcupine. 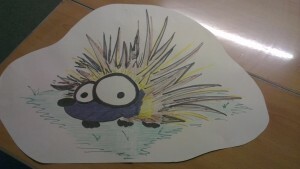 My teaching assistant then drew me a porcupine and he now lives on the wall. We’re not sure how he’ll be used yet, but the plan is to stick great examples of work, exciting vocabulary and any other idea on and around him to inspire others. Oh, if you want this idea for your classroom, feel free to porcupine it. Ben would be very happy.